One of the most pleasant, most attractive towns in the burbs or anywhere. We offer carpet cleaning services to Western Springs and the surrounding suburbs. I have a confession to make. 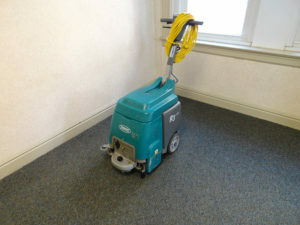 We do a lot of carpet cleaning in Western Springs. Each time I get a call and see the “246” exchange in the phone number my heart beats a little faster. I grew up in the area, and in high school when I saw the number on my phone I knew the best-looking cheerleaders in the world lived in Western Springs. Maybe one of them was calling me. Truth be told, I didn’t have a lot of cheerleaders calling me, but it could have happen—maybe. Still old habits diehard, and if I see a “246” #, I’m still going to smile at the younger me. Maybe you can relate? Western Springs is also home to Kirschbaum’s Bakery. The finest bakery in this or any parallel universe. Cream Puffs to die for. Pecan nut rolls so well it’s practically illegal not to have seconds. Then there is that really neat historical building shaped like an artillery round just north of Kirschbaum’s across the tracks. I like to eat my cheese kolaches looking at it and think about its history back in the day. Western Springs is home to Spring Rock Park where I used to gasp for air on the cross-country team. It’s also home to Billy Graham’s first Church and some of the finest homes in the western suburbs. I like cleaning for our clients in Western Springs because they’re friendly with generous senses of humor and an easygoing manner then makes it a joy to clean for them. As a rule, they are not as uptight as others taking life in stride. At least that’s been my experience. Wide sun-lit rooms, spacious lots, lots of trees, big yards and wide driveways to back my van into. Combine that with easy going people and what’s not to love about Western Springs. We love working there, eating there and hanging out too. You’ll love our cleaning. We’re old school. Hard on dirt. Easy on your furnishings. Read our reviews on Yelp, or Google or Angie’s list. We have more 5 star reviews than the five other cleaners in the area combined. If you want someone who deals with honesty and integrity and that treats you they way they wanted to be treated with respect and stubborn I’ll get that stain out! Determination. Then call us. If you want a fast job from a so so cleaner call one of the other guys. My wife had saved a pink flyer she had gotten somewhere for two years. We called them up and Jimmy came over and quoted us to clean two sofas and a love seat and some area rugs. He and his helper Matt treated us with great courtesy. They asked permission to pull into the drive way. They explained how they would do the work and gave us three packages to choose from. We chose the gold. The rugs are bright again and they even got out a wine stain we though we were gonners over. Very pleased.